What type of hot rollers is best for long hair? How to use hot rollers for long hair? How many jumbo hot rollers does it take for long hair? It’s important to know your hair products when you have long hair. Hot rollers for long hair can be hard to find since there are a bunch of small sets that end up covering half of your scalp only. 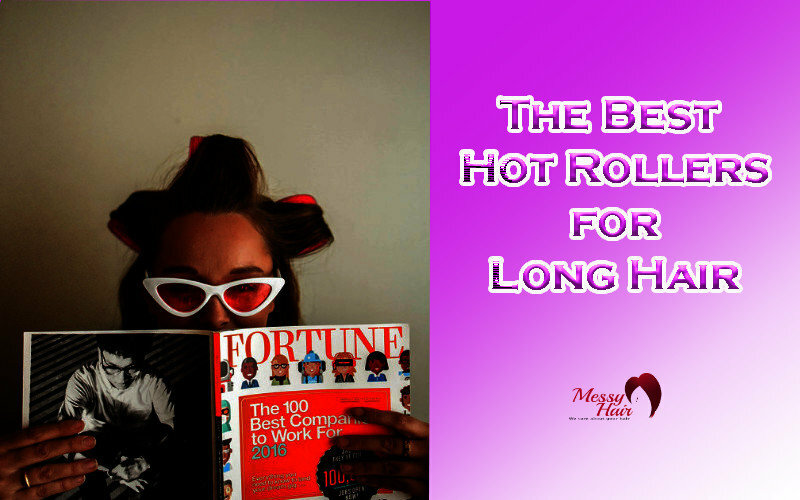 Best hot rollers for long hair are those that feel comfortable, are big enough and work on ionic, ceramic or tourmaline technology. We will first talk about products and we’ll present you nine best ones we have found. After that, we will show you the research behind our choice and you’ll see what was our state of mind. Of course, we will explain what all of the fuss is about and what you need to look for in a set of hot rollers for long hair. This BaByliss product is a great choice for those who have long hair or coarse hair. You will notice that it is a bit pricey, but BaByliss is one of those companies that is surely worth checking out. They connect with their buyers and therefore create products that fit them. This is an ideal set that includes everything you’ll ever need. The sturdy, blue case has an on-off button, which is sort of rare with these products. Everything fits into the case: the rollers along with the clips. You are getting 20 rollers that are of different sizes and 20 J-clips as well! Infrared technology that powers the rollers is known to be a great way to keep the hair healthy, smooth and hydrated. The rollers can be easily gripped, and they are beginner-friendly. The rollers have a heat-ready dot and the rollers are divided into categories, as previously mentioned: 8 large ones, 6 medium ones, and 6 small ones. Besides the J-clips, you are getting butterfly clips too!It’s great to have extra large hot rollers for long hair as well! This set is great for all hair types and therefore is a good choice for those with thick and coarse hair. You can get healthy, strong curls thanks to the great technology this set works on. These are not regular hot rollers and they will moisturize your hair while styling it. The set works with steam and the foam rollers provide a voluminous look very easily. You can use 6 petite rollers, 6 small rollers, 6 medium rollers, 6 large rollers and 6 jumbo rollers. This means that you can do variations as well. The set has great reviews and many people don’t want to switch back to heat rollers after using steam rollers. This professional hot roller set is one of those that could easily be used in a professional salon. They work on T3 HeatCare technology and each product has a PTC heater and an aluminum core. These work great thanks to the ions in them and achieve a healthy, smart look easily. Your hair will continue to shine thanks to the velvet flocking and you will stay safe & sound while using these thanks to the CoolGrip option. They are very lightweight and they can work at any voltage, you just need to get a plug adapter. When choosing between the 2 heat settings, you need to take account of how damaged your hair is. With the set of large hot rollers for long hair, you are getting 8 crease-free clips: they hold the rollers in place and you can multitask without much fear. The set turns off after 1 hour of use so you will stay safe and there is no need to worry about electrical issues. You are getting 4XL rollers, 4 large rollers and a luxurious storage case. When you have long and thick hair, it’s easy to wrap a bunch of hair around one roller in just a few seconds. It seems like there is always too much hair and not enough roller space. That’s why we are recommending you this Conair set which features superjumbo and jumbo rollers only. They work on ceramic technology which means that your hair will get hydrated and heated from the inside out, which doesn’t cause damage. You are getting bouncy curls with 4 jumbo pieces and 4 extra jumbo pieces. You can secure the hairstyle in place with the clips that allow a secure hold. It takes 85 seconds only for the whole thing to heat up and that means that you can use it easily and fast, wherever you are. With the set, you are getting an instruction booklet, which is sort of rare and means a lot to those who are beginners. This beautiful set by Remington is one of the most popular ones out there and it has great reviews since the quality vs. price ratio is fantastic. It is a set that has rollers with a wax core. This helps the curls remain long-lasting. You are getting 20 velvety rollers that are color-coded in purple, pink and white. They come in three different sizes and you can personalize the hair styling experience thanks to this. The J-Clips you are getting will help you secure the hairstyle and you will be able to multitask without many issues. The cool touch ends are beginner friendly and they take care of your safety. You will also benefit from the ready indicator light and the great ionic technology this set works on. The technology it works on helps the hair heat up without drying it out. It will stay hydrated and silky: you can forget about frizzy hair too! If you are looking for a product that will help you achieve those bouncy curls, Conair may have the right thing for you. You are getting 12 rollers that are tangle-free and they create a long-lasting effect. No worries about your hair becoming dry, damaged or frizzy, this device has excellent heat protection. The steam reservoir adds moisture and helps your hair show off that silky look. In the set, you are getting a stylish, Barbie-looking case with 12 rollers and 12 metal clips: all of these can be stored in the base. The only thing you might want to avoid with these is burning yourself. They get really hot! It does take a bit more time for them to heat up, but people mostly aren’t worried about this. John Frieda is a very famous hairstylist that works with many models and celebrities. He cares a lot about the technology of his products and you can be sure that you are getting a healthy, professional model when you see his name embedded on the packaging. This set includes 8 jumbo rollers that work on ionic technology. This technology allows the hair to get heated up without getting dry and damaged. You will also notice that your hair will become silkier since the moisture will penetrate inside the hair follicle. The big hot rollers for long hair heat up in 2 minutes only and the titanium ceramic flocked rollers will easily do a great job for those with coarse hair too. You are getting minimalistic butterfly clips and an extra pouch that helps you store everything. You can easily travel with this set too! Conair has been mentioned several times on this list and this product may not see much difference from the other. It is a set of 8 2″ rollers that heat up really fast. They are velvet flocked rollers that feature tourmaline ceramic technology. This technology helps your hair get hydrated and moisturized as well. You should use the rollers on dry (maybe damp) hair, never on wet hair. You will see the instant volume boost and it will be a great experience for beginners too since the rollers have texture too and they hold the hair much better than flat rollers. You are getting the butterfly clips as well and you will notice that they do not leave marks in the hair! Revlon can be trusted, we already know that. They always take care of the technology and the safety of their products! This set features 12 heated rollers divided into 4 small ones, 4 medium ones and 4 large ones. This is great because you can personalize the experience of hair styling and you can create curls of different sizes. You will notice that they have texture and that they grip hair a bit better than flat ones, which is a great beginner-friendly feature. The 4 root boosters you are getting are an easy hack to voluminous roots. The base is looking very chic and you will notice the protective cover is made from harder material in order to protect the whole base if anything happens. Those who have long hair know how important it is to have a product suitable to your hair type. 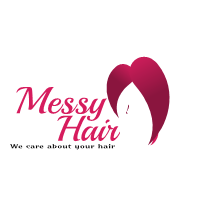 There are several things that you need to look for in a product when you are buying one for yourself or your friend/family with thick, long, coarse hair. You need to make sure that there are enough of rollers in the set. It may seem like 10 is just enough, but many people need more. It would be a good idea to create “demo” sections and see how much rollers do you approximately need. We would recommend 12+ rollers, you can find various sets on the list. Technology is important. Ionic or tourmaline or ceramic technology is important and these will make sure that your hair gets the heat, but not the damage. It will stay hydrated and won’t be frizzy, which is important for those with long hair because, when long hair gets frizzy, you won’t be able to brush the tangles out. One more thing you should focus on is clips. Butterfly clips offer better stability and a secure feeling, but you may notice that they leave a “crease” in your hair. J-clips don’t leave the crease, but they are a bit weaker. If you have really thick hair, we don’t believe a crease will be noticeable. You don’t use the hot rollers in any different way, but it is recommended to use more products. We will go over the process once again. Brush your hair. When you are using hot rollers, you don’t want any tangles. Long hair can get all knotted up before you know it. Section the hair. When you have thick hair, it’s better to create smaller sections. This is great for long lasting curls, but you may need more than 10 rollers as previously mentioned. Use mousse. It’s a great way to get curls that will stay beautiful and shiny all night long. We are sure that you don’t want to struggle with the hot rollers only to reveal bland curls that are not visible after half an hour. Roll the rollers up. Start at the bottom and put a little piece of the hair around the rollers. Roll them up until you reach the scalp. Secure the rollers. You can use the butterfly and J-clips to do this. It may take a while until you become a professional, though. Wait it out. You need to be sure that the rollers are cool. Style the hair. It would be best if you could only run your fingers through your hair and apply some hair spray. We have already discussed that you may need more than 10 regular rollers to cover up your scalp. You need to do the sectioning before you buy the product, just so you know how much rollers you need. It all depends on your hair type. About 6-8 jumbo rollers would be enough for most people, but you may need more or less, depending on the thickness of the rolled up hair. It’s no secret that hot rollers for long hair can give you great volume. You can use them close to the scalp to achieve a voluminous look without the curls. However, those with sensitive scalp should not do this. Let us explain the procedure. You roll the hair up as you would usually, but you start from the top. You roll the rest of the hair around the roller without moving the roller and this makes the biggest crease appear at the very top. Best hot rollers for long hair are somewhere on the list we have made, but we cannot show you which one is it because we don’t know your hair type and your preferences. We would advise you to read the info and check out the reviews to see if maybe someone with a similar hair type had posted a picture or two.